Schleich Farm World Starter Set. Children become acquainted with the most well-known farm animals with the Farm World Starter Set. 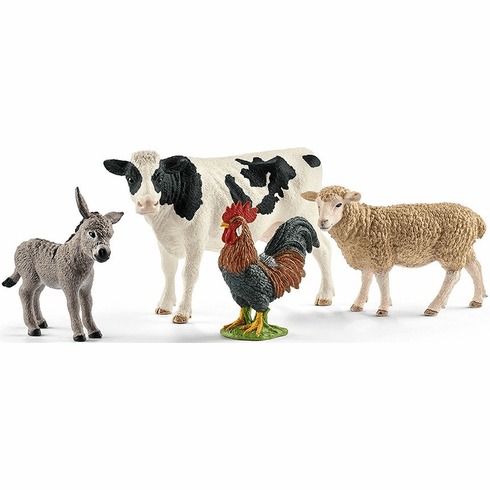 The life-like Schleich animals with elaborate detail stimulate children to play creatively, allowing them to come up with their first imaginative farm stories.